Once is not enough, though-at least not for Jess. Mary is called again. And again. 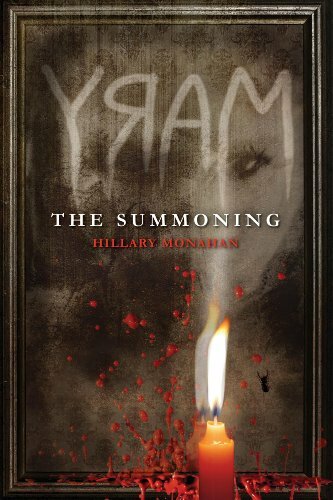 But when their summoning circle is broken, Bloody Mary slips through the glass with a taste for revenge on her lips. As the girls struggle to escape Mary's wrath, loyalties are questioned, friendships are torn apart, and lives are forever altered. A haunting trail of clues leads Shauna on a desperate search to uncover the legacy of Mary Worth. What she finds will change everything, but will it be enough to stop Mary-and Jess-before it's too late? Hillary Monahan lives outside Boston. This is her first novel. Learn more at www.hillaryjmonahan.com.